To me Batman is the definite superhero ever since I was a child. Not only because of the Tim Burton film from 1989 was so much better than the Superman films (there wasn’t as much superhero-competition around back in the day!). I think what got me really hooked was the iconic animated series, which was launched a couple of years later, which picked up the tone of the film – and went off to give it its own and very distinctive feel. Oh, and it saw the first appearance of Harley Quinn, the mad psychiatrist, who fell for the Joker and became his hench-woman. 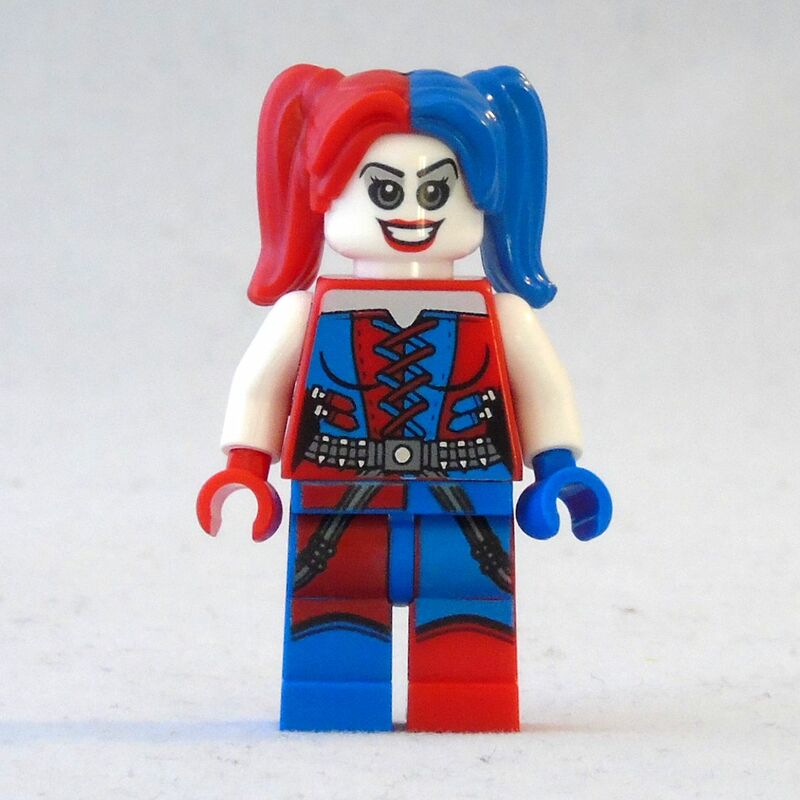 One of the most iconic characters of the series, which leads us to today’s review of the Gotham City Cycle Chase, which features not only Batman and Deadshot, but also her in a prominent position! I happily admit that I didn’t really spent a thought on the bikes when getting this set. The character line-up was just too good for me to care about them. I wasn’t even sure if I would actually assemble them. 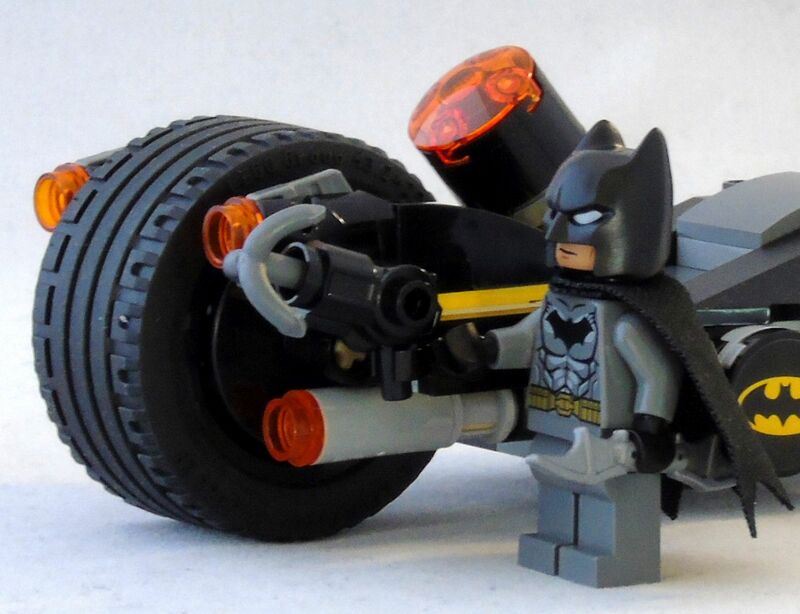 I rather planned to use the parts for a proper batmobile instead (especially the tyres). But I figured, if I wanted to review the set, I should have at least assembled them once! When opening the box I was quite surprised to find the instructions in two volumes. I found that rather exotic for a relatively small set of 224 pieces, but it makes sense if you take into account that the pieces for the bikes come in different bags too. I think it is just meant to clarify the building process as much as possible and not mix up parts. 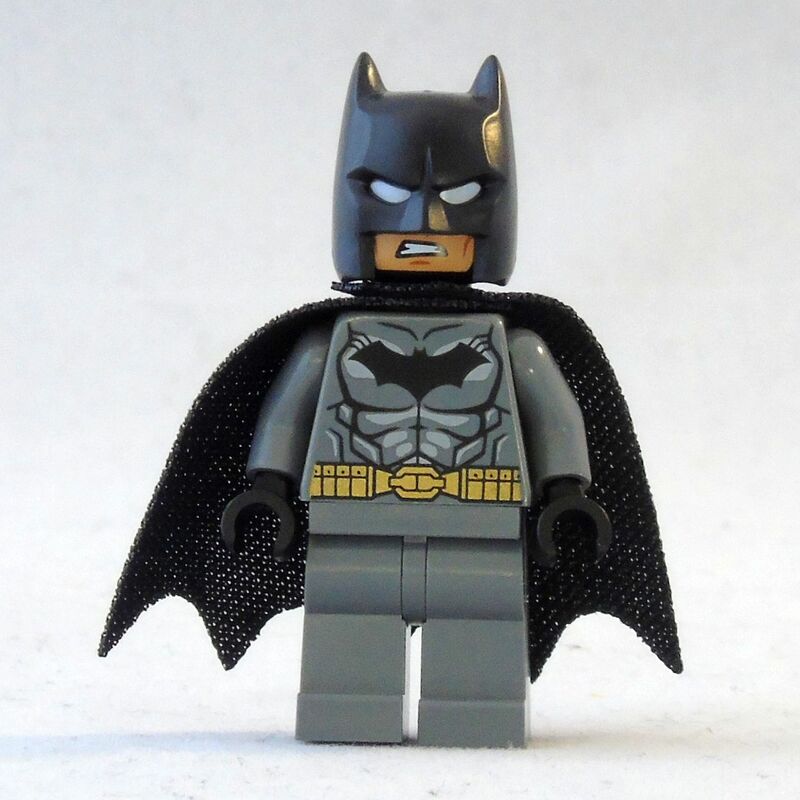 The iconic Dark Knight: Well equipped and determined. As usual you start with putting together the minifigures. In this case its Batman and Harley Quinn. 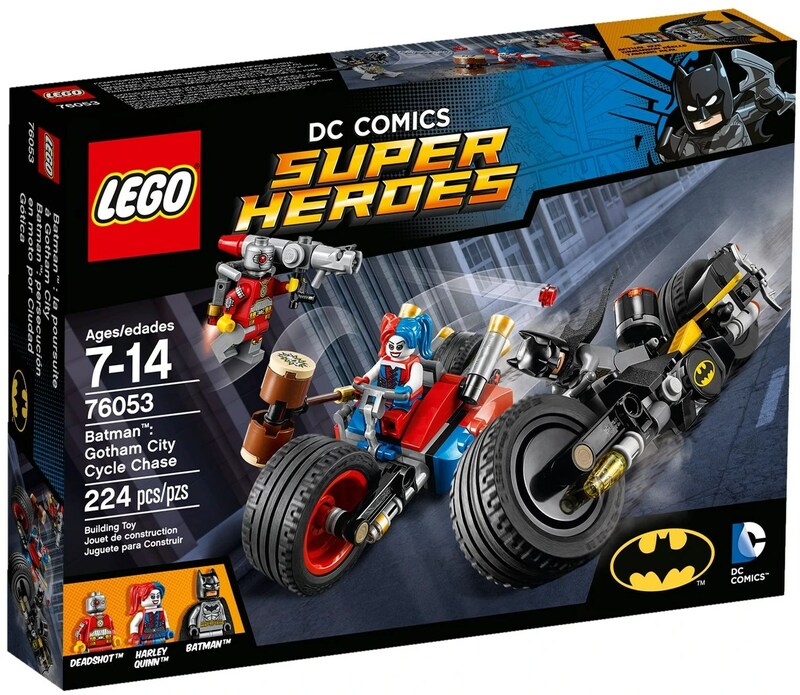 Deadshot follows in the second part of the instructions, together with the pieces for Batman’s bike. The characters seem to be modelled after the recent comics rather than the films, which works very well for me. 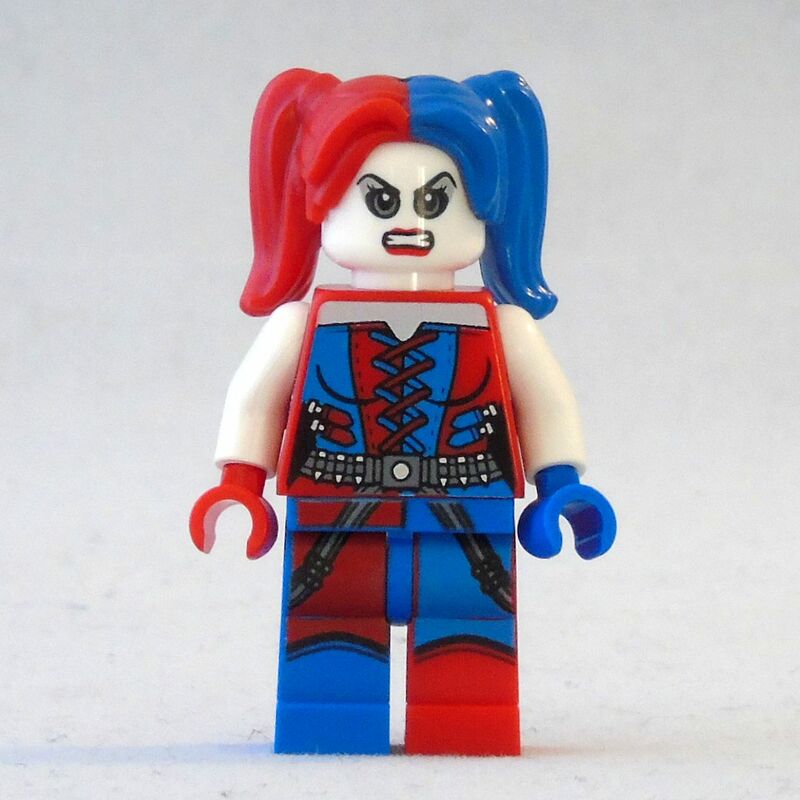 I like Harley Quinn’s look in Suicide Squad, but I will never get used to stubby Batman ears. They just look as intimidating as cat-ears on a beanie-hat. Anyway, he looks pretty cool in this set and that’s the important thing here. The printing on his torso (back and front) is very neat. Just as you would expect it. It reminds me quite a lot on the 90s TV series. 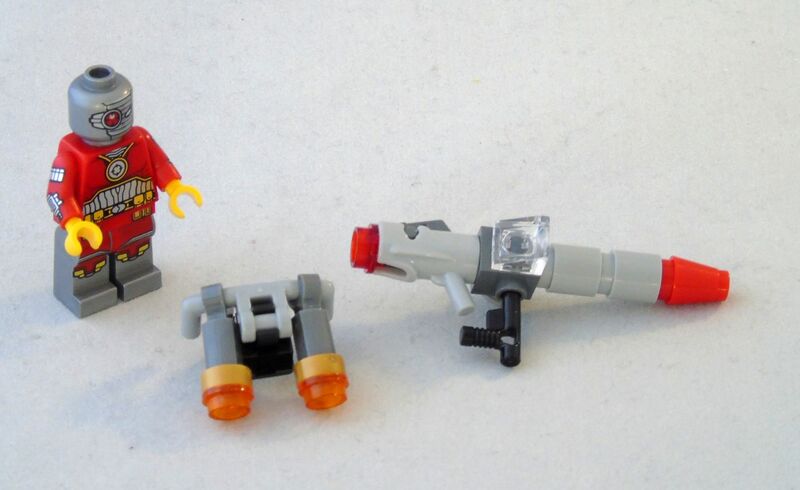 Sadly he doesn’t has dual-moulded legs or at least printing on them (yes, we are getting quite spoiled!). But he wears a new, soft fabric cape, which makes it easier to pose and sit him. Nice detail. The skin on his face is actually printed on a black head-piece. Quite unusual. 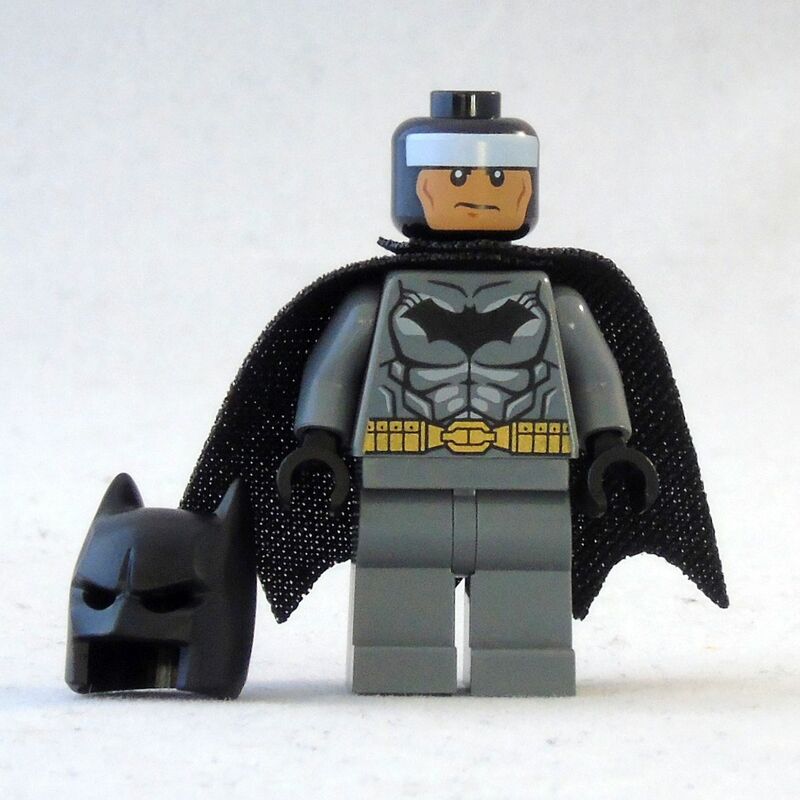 It has a slightly more tanned look than other minifigures. Maybe Bruce Wayne is using spray tan to hide the lines of his mask? Sadly the mask is designed in a way that he needs a white strip on his forehead to mimic eyes. Alternatively it can double as head bandage: outch! Harley features a lovely and quite extravagant blue and red outfit with corset and tiny metallic studs. It is really gorgeous to look at. No dual-moulding at the legs or the hair piece though. At least as far as I can tell as a non-injection-mould specialist. It at least appears to be painted rather, but looks very good and the colours are nicely separated.The little hole on top of her hair piece though just shouldn’t be there. But maybe it is an indicator that it was dual-moulded after all? Hard to tell. Her face is just perfect though. She looks cheerfully mad, which is just the right expressions for the character! 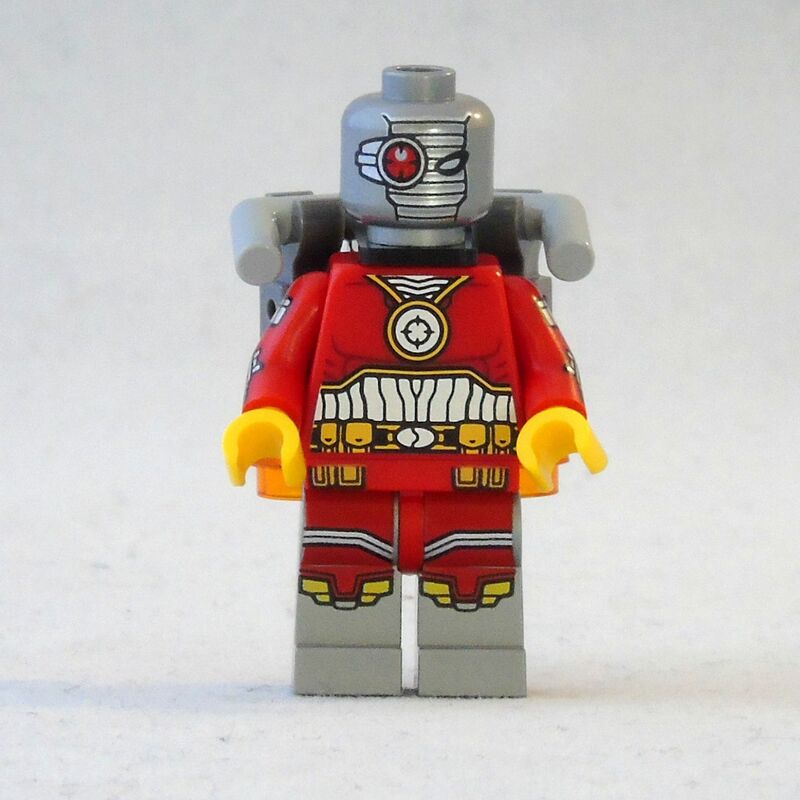 Deadshot is a bit of an odd addition to the set. I would have expected a more classical villain from Gotham. Or maybe some random joker-henchman. He looks quite interesting though: His head and legs have a very cool metallic-colour, which gives the impression of a heavy armour suit. 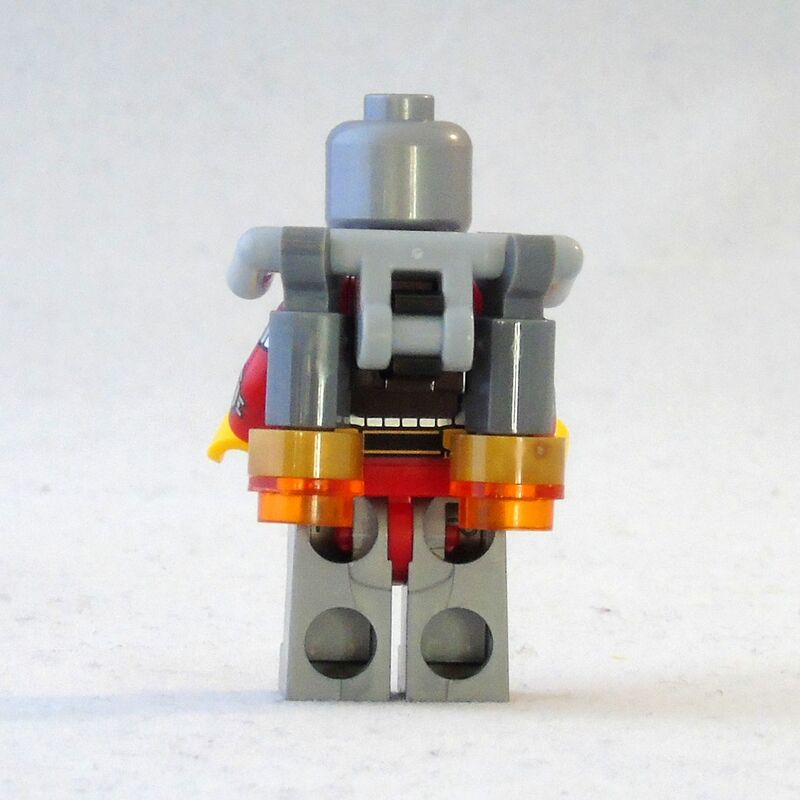 His torso and arms (he is the only character of this set who has printed arms) have some neat silver printing too. If you wouldn’t know better though, you would take him for a killer android instead of a guy in a metal suit. The only weirdness are the classic yellow hands, which look quite out of place on him. But since he has yellow gloves in the comics, that’s completely fine actually. 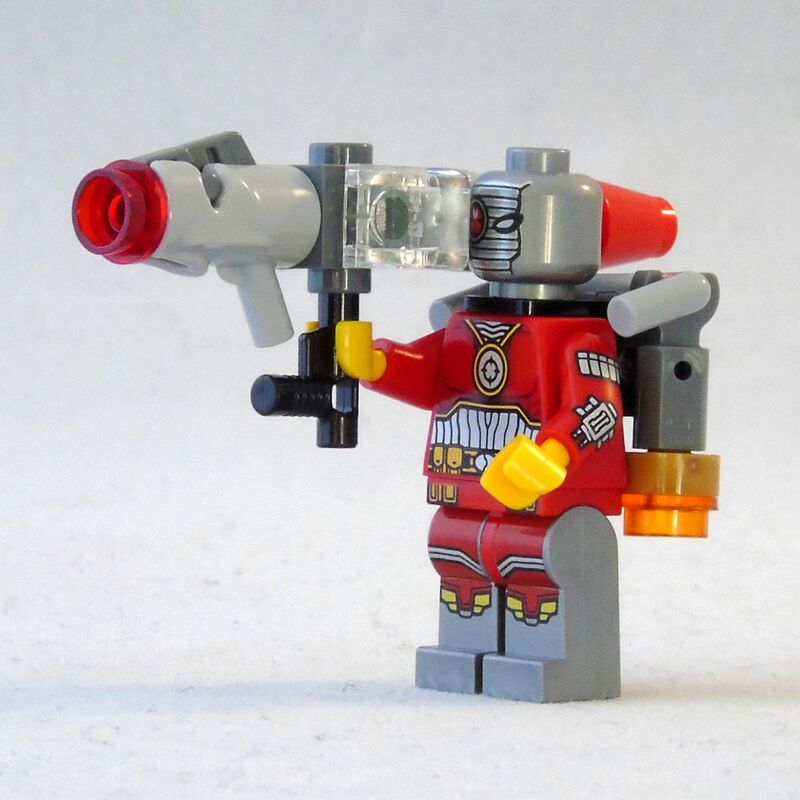 Since he is the ony one in the set without a bike, he gets at least a quite impressive pair of gadgets for his job as sharpshooter: a king-sized bazooka-thing and a nice brick-build jetpack, which makes him not only very mobile, but also rather easy to hide and take the dark knight into his crosshair. Why using an ordinary stud-shooter, if you can have a stud-shooter that looks like a bazooka? 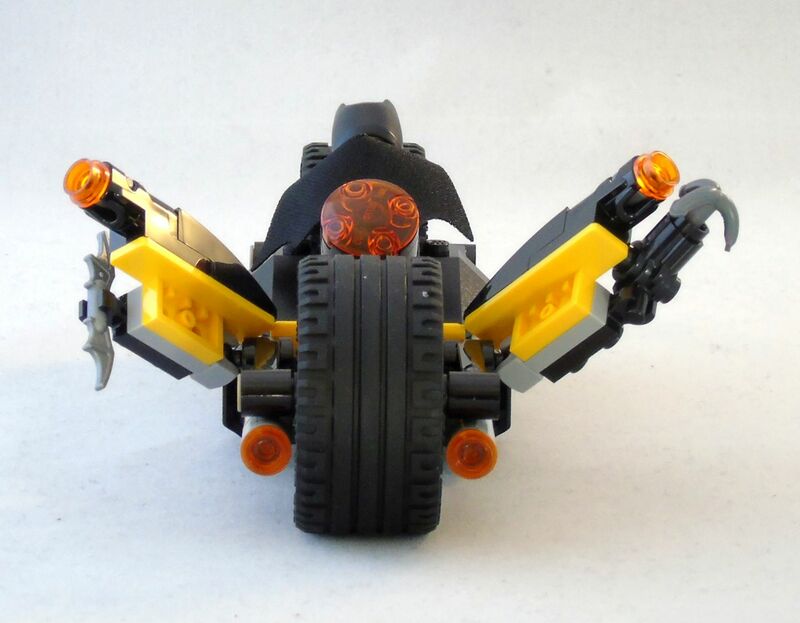 The design of the bikes is relatively simple, with technic beams and connectors making up the frame. That makes them not only pretty lightweight, but also sturdy and quite modern and cyberpunk-looking. Not a bad thing at all. Building them is pretty straightforward too, as you would expect it. And thanks to the instructions and packaging it is almost impossible to pick the wrong pieces or the wrong places for them. 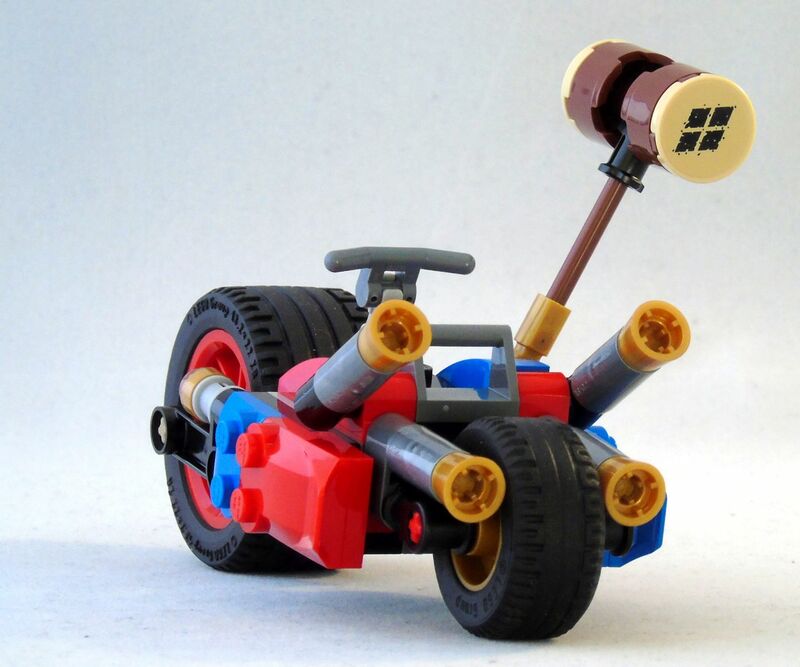 The only part where I can imagine that inexperienced builders will have a moment of confusion or two will be putting the mounts for the wheels together. It’s not hard to do – just done in a pretty surprising way! Vorsprung durch Technic: the bikes actually consist of 3 parts clicked together. 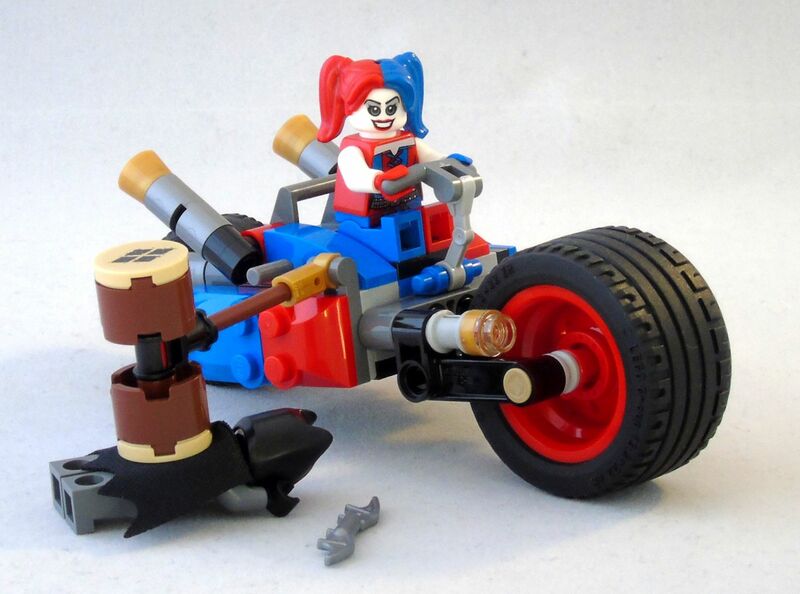 All in all the bikes can’t quite meet the standards the minifigures, but at least they do a good job in matching the characters of their respective owners: Harley (perfect name for a biker btw!) Quinn’s bike is simply an odd thing with different sized wheels (big one front!) and an absurdly sized hammer mounted on a hinge, so that she can either punch down while passing by, or keep it tilted down and run people over with it. Not the most refined combat style, but simple and effective – and appropriately comical! Harley demonstrates the use of her hammer. Maybe that’s why Batman wears head bandages? Rear-view. Lots of plumbing here. I also fixed the wrongly aligned sticker. It was easy to pull off and apply again correctly. Whew! 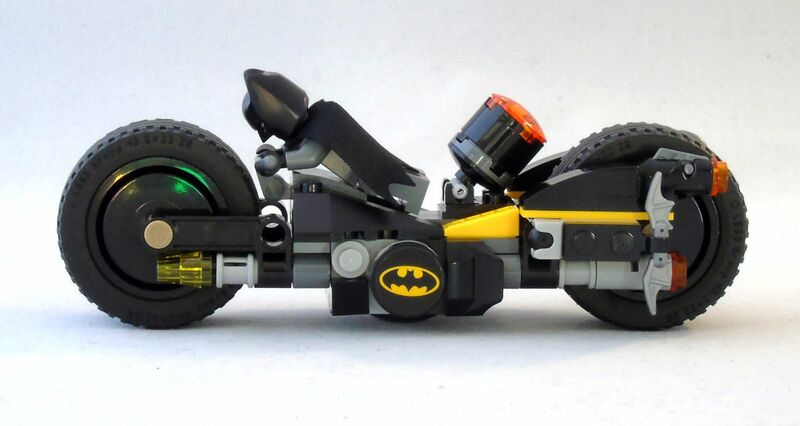 Batman’s bike, on the other hand, is more refined and has some pretty nifty features: the rear fenders have stud-shooters and are mounted on ball-bearings, so they can be used quite effectively as gun turrets. Pew and Pew! Fun with the fenders! To de-fend against certain yellow-gloved snipers! 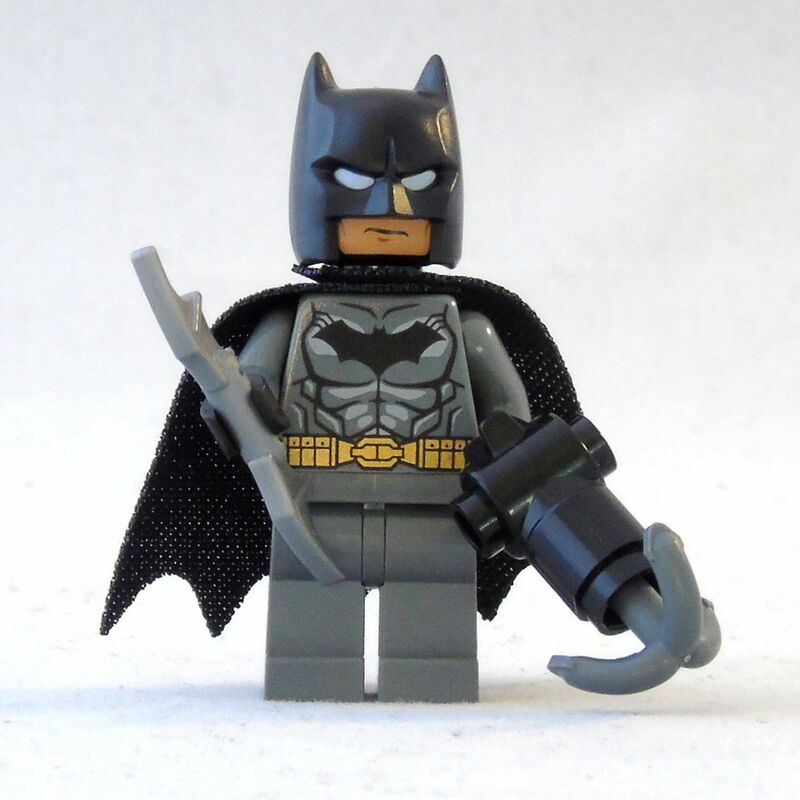 Each of them also holds a clip for Batman’s gadgets, which are of course the typical batarang and a gun for shooting grappling hooks. Sadly it is mostly cosmetic though: it doesn’t has a rope or a shooting function. The overall appearance of the bike is more sleek and it looks really like something build for performance. Though, I am not quite sure what the rocket booster behind the driver seat is doing there. It is mounted about 45° upwards, so maybe it is supposed to create downforce – apart from not burning the tyre, as it would when pointing straight backwards! Sweet little set, isn’t it? Next Post Bye-Bye Sweet Summer!